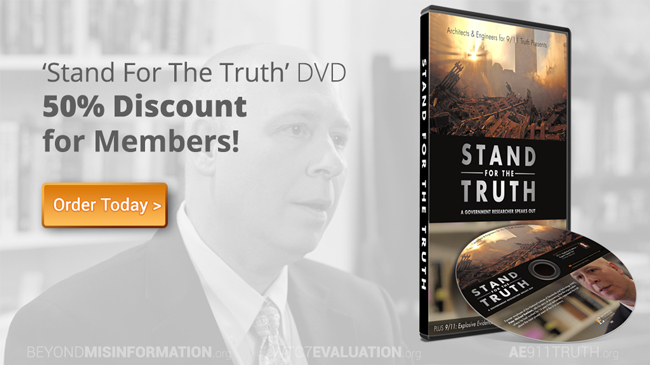 Our newest documentary, Stand for the Truth, is now on sale! As a sustaining member of AE911Truth, you have the opportunity to purchase the DVD of this remarkable short film at a 50% discount when you order two or more copies. For just $19.95, you can receive two DVDs — one for yourself and one to share. Or you can order multiple copies to share with family, friends, and neighbors! By ordering and distributing two or more copies of Stand for the Truth, you’ll be helping to share Peter Ketcham’s message, which has proven to be uniquely effective at reaching people who are new to the evidence or have long been on the fence. You’ll also be supporting the continued work of AE911Truth. In addition to the poignant half-hour interview with Mr. Ketcham, this DVD features the one-hour version of our signature documentary, 9/11: Explosive Evidence — Experts Speak Out. There simply isn’t a more potent pill out there for waking up our fellow citizens to the truth about the World Trade Center destruction. 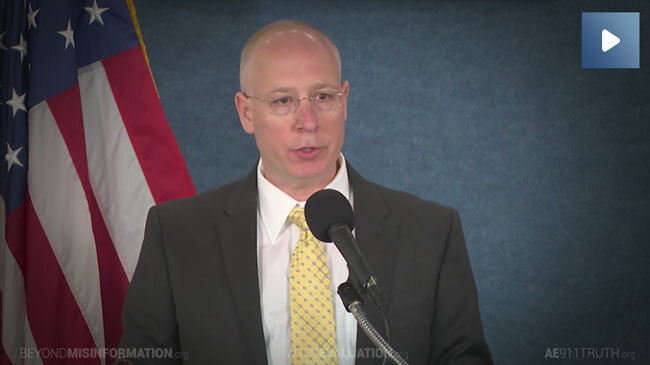 In case you missed Mr. Ketcham’s spirited speech at the National Press Club this past September 11th, we invite you to watch it now. I speak for everyone at AE911Truth when I say thank you for your noble and unyielding support of this cause. We’re honored to be working on your behalf.